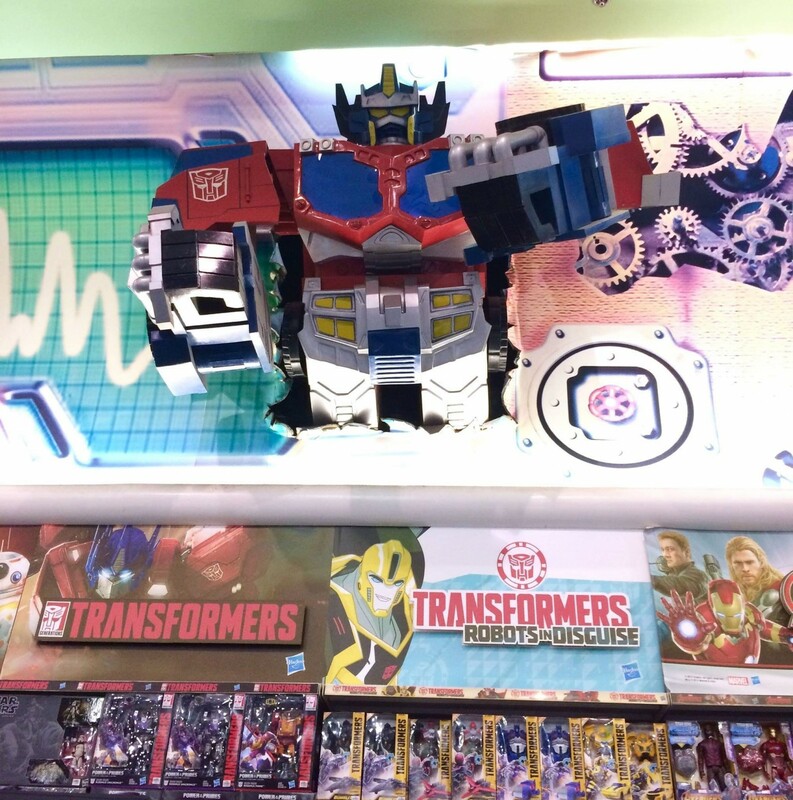 We had covered the other day a story about the ongoing troubles of international toy retail chain Toys R Us, in which a return of the store to the US had been advanced by the company on a number of outlets. You can read that again here, but also integrated with some further details below. 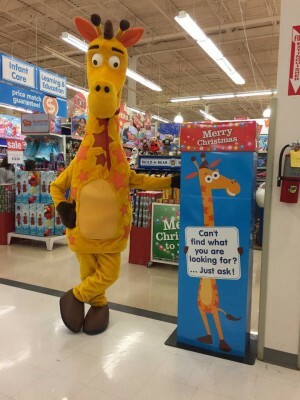 According to USA Today, TRU is planning on a series of strategies to remain as a presence, including keeping Geoffrey the giraffe as its mascot, using pop up locations, and changing the name to Geoffrey's Toy Box. The full article here details further what is happening, including the short term business plan, and the presence of Solus Alternative Asset Management and Angelo Gordon funds behind the new company, plus some worker discontent at the latter, and how the new Geoffrey LLC owns the name for TRU and Babies R Us in all countries except Canada. Read more below! Geoffrey's Toy Box introduced itself to toy manufacturers and sellers Tuesday at the opening of the Dallas toy show, with an exhibit booth and a costumed Geoffrey mascot, who was spotted wearing a cape with the words "Back from Vacation." Toy manufacturers at the show were tweeting and posting on LinkedIn that they had spotted Geoffrey and Richard Barry, the former chief merchandising officer at Toys R Us who appears to be heading the new venture for the investors. That actually sounds a lot like what Amazon is doing, having "brick and mortar" locations inside other stores. I'd think that the larger chains would welcome that as a potential boon: they'd make money off the space and not have to actually purchase the product to put there. And GTB won't have to have the outlay of funding their own building. With the Internet, the days of stand-alone toy stores is likely done but this seems like a very viable alternative. THe downside is that the space would be smaller as would the selection, potentially. I suspect they would have a robust online presence and selection, but minimal real-world footprint. Could not be happier to hear this! Amazing news. We are all Toy R Us kids in the end. I think it's important to remember that your local stores aren't re-opening, at least not in the same locations and that all those people who lost jobs probably won't be rehired. They are readily available in Walmart(of all places) so you might try there. I was really surprised by that but given how big the MTG and Yughio sections are, I guess I'm not that surprised. As for the question posed by william-james88, yes. Yes my habits have changed. None of the Target's or Walmarts carry bigger items and they are very hit or miss on what they carry in general. I will say however, the big thing I miss is the non-tf toys. No other local stores carry the Necca lines unless it's the comic shops or the Think Geek store in the mall and some things are a little harder to find. Comic shops mark them up a good $5 or $10 too. "Sears hasn’t earned a profit since 2010. The company faces a cash crunch as it needs to stock its remaining Sears and Kmart stores for the holidays, and many vendors, from appliance makers to toy companies, now require the company to pay upfront in cash. Sears has canceled orders from some appliances manufacturers, according to two appliance industry consultants." lakebot wrote: As for the question posed by william-james88, yes. Yes my habits have changed. None of the Target's or Walmarts carry bigger items and they are very hit or miss on what they carry in general. So does that mean you now order your bigger items online? Do we even have a choice anymore? I hate it because majority of the time you have to pay shipping and it always ends up costing more in the end...especially now that states have caught on and are hitting is with sales tax. As for taxes, you would pay those if you bought it in stores so I dont see how that would play into this discussion. Unless you meant tax on the shipping but thats still just very marginal based on the figures I wrote above. Just trying to understand the issues. I am personally waiting for black friday to pick up predaking on amazon and i would have done that whether I found him at brick and mortar retail or not (which turns out I did see at Brick and Motar but didnt pick up). I think there is also that ever present doubt in some people's minds when it comes to whether or not they are going to buy a figure. I know in some cases, I'd rather have seen the product in person before purchase. The internet is a great thing, but nothing beats an optic inspection. I also am a cheap sonuvabitch. So four bucks...damnit, that's two bottles of Boone's Farm! I hate shelling that out when it can go for much grander purposes! To answer your question, sometimes. Perhaps I am paranoid but I do not like having anything large delivered to my home. My work hours vary every single day. And depending on the method of delivery service, I or my wife may not be home. So it will sit outside on the front porch. I'm really not even so worried about an item being stolen as I am that someone may open it and then either keep coming back or just burglarize my home thinking I have some very massive/expensive collection(I don't and have made it a point not to but that doesn't help me if they break in before they realize that). This doesn't account for the damage that can occur during the shipping process. Sadly I do not feel we have much of a choice anymore at this point. But that does not mean I have to like/agree with it. Some of the people here may be used to doing the online route only. I do as well for certain things. But not for anything big if I can help it. That is why I was frustrated about trying to get Trypticon in store. They couldn't even do that right and I had to go BBTS. As for Predaking, I will wait to see if Think Geek has it. Online will always be my last option. First-Aid wrote: I think there is also that ever present doubt in some people's minds when it comes to whether or not they are going to buy a figure. I know in some cases, I'd rather have seen the product in person before purchase. The internet is a great thing, but nothing beats an optic inspection. The shipping with BBTS is really great when you think about it. I could not ship items that cheap to anyone and they aren't bad when compared to other outlets(with several having free shipping) so I certainly don't grimace at the price. I don't haveto see the item first either. Another point someone mentioned was Walmart clearing space to, I guess, expand their toys sections? Not from what I have seen although I understand we are still early on in this post "TRU whatever we are calling it". Despite the feeling I get from conversation that a lot of people feel online is the way to go, and the way everyone prefers to buy, I don't believe it. The mall and anywhere near the mall will be a total mess come Black Friday-Christmas eve. I feel people do whatever they find most convenient and for whatever reason(s) online may not always be the best option for them. nah, that's just Billy-Jim's Canadian bias showing through again. Trying to get that video to work, this is what I was trying to post. Can anyone help?